The Soundcraft Si Performer 1 is a compact digital 19-inch mixer that’s easy to operate and offers limitless possibilities. 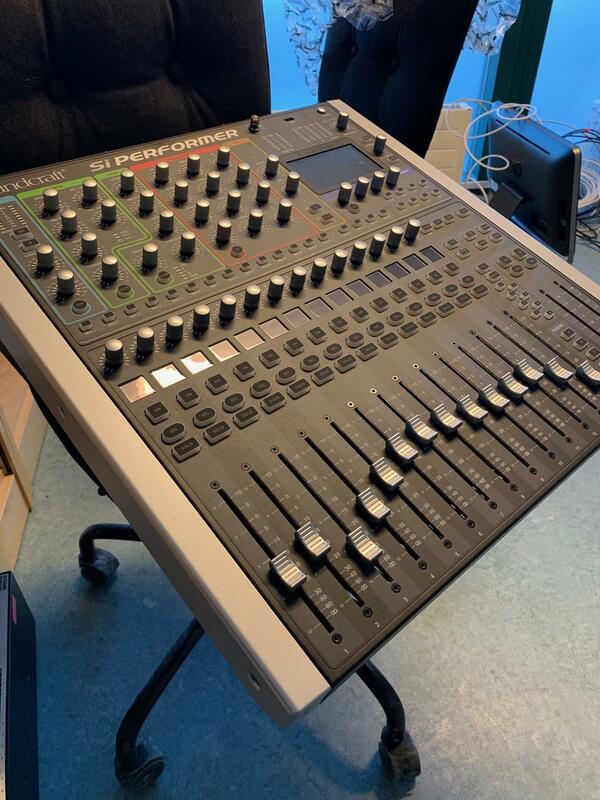 It has 16 freely assignable motorised faders, a comprehensive channel strip section, push buttons, One Touch Easy Mix knobs and an LCD touch screen that give you full control over a maximum of 80 channels, 32 mix buses and the internal effects. The mixer even has a built-in DMX512 interface for controlling a small light set. The Soundcraft Si Performer 1 has 24 analogue inputs (16 mic / 8 line inputs), 16 line outputs and AES/EBU I/O. 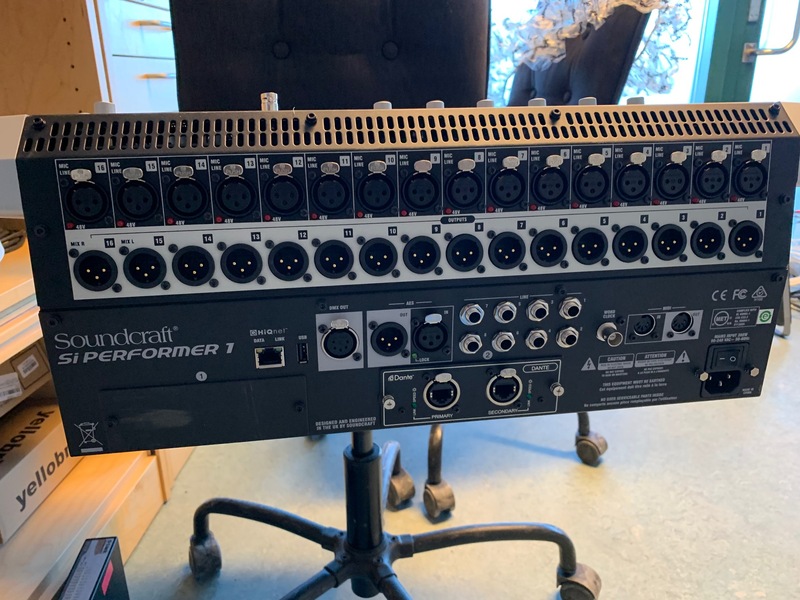 If that’s not enough, the number of channels can be expanded to 128 inputs and 96 outputs via two expansion slots for the optional I/O expansion cards from Soundcraft. The settings for the input channels on the Soundcraft Si Performer 1 are operated from the Assignable Channel Strip (ACS). Via the well organised user interface, you have direct access to the preamplifier, the compressor, the gate, a full parametric 4-band EQ and pan, delay and routing settings per selected channel. The output buses are also controlled via the ACS without the possibility to adjust preamplifier and gate settings, of course. Apart from ACS, the Si Performer 1 has four stereo mulit-effects processors from Lexicon. These give you the choice of 29 presets including reverb (hall, plate and room), delay, modulation effects and pitch. Each bus has its own graphic EQ with an algorithm from BSS. This functionality is also found on expensive mixers by Studer. 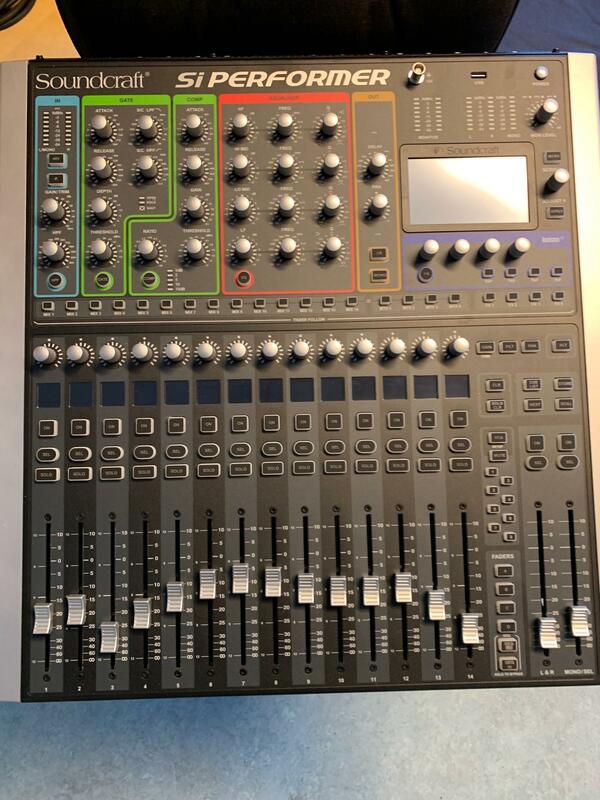 This incredibly versatile mixer simply can’t be described adequately in such a short text. However, The One Touch Easy Mix (tOTEM) knobs and Global Mode Controls are certainly worth a mention. Via the tOTEM knobs you can switch directly between the AUX, FM and Matrix buses and from there control the buses from the motorised faders per channel. Finally, with the Global Mode Controls you can control settings for gain, pan and high pass filter using the knobs above each fader at the push of a button.